We’d love your help. Let us know what’s wrong with this preview of Christmas Ever After by Carla Neggers. Enjoy these three gorgeous holiday romances from New York Times bestselling author Carla Neggers, national bestselling author Rochelle Alers, and Essence bestselling author Donna Hill! Clare Morgan is ready for a fresh start when she moves to the small Massachusetts town of Knights Bridge with her young son, Owen. Widowed for six y Enjoy these three gorgeous holiday romances from New York Times bestselling author Carla Neggers, national bestselling author Rochelle Alers, and Essence bestselling author Donna Hill! Clare Morgan is ready for a fresh start when she moves to the small Massachusetts town of Knights Bridge with her young son, Owen. Widowed for six years, Clare settles into her job as the town’s new librarian. She appreciates the warm welcome she and Owen receive and truly enjoys getting the library ready for its role in the annual holiday open house. Then she meets Logan Farrell, a Boston ER doctor in town to help his elderly grandmother settle into assisted living. He doesn’t plan to stay for long, but Daisy Farrell enlists her grandson to decorate her house on the village green one last time. As Clare and Logan get his grandmother’s house ready for the holidays, what neither of them expects to find is an attraction to each other. Better than most, they know all the crazy things that can happen in life, but everything about Knights Bridge and this magical season invites them to open themselves to new possibilities…and new love. Don’t preach to Alexis Montgomery about settling down. She’s got her act together—a fabulous new job, great friends and plenty of dating prospects. She’s happily taking New York City by storm, so why would she ruin things by committing to just one man? 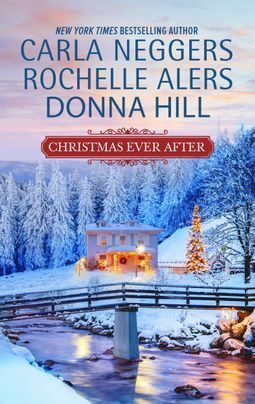 To ask other readers questions about Christmas Ever After, please sign up.